What comes after fall? Yeah, it is the winter. With the drastic temperature drop and snow storms possibility, there is a list of must-do things before winter that you should’ve done right now. All of it is to make sure that yourA�home stays comfortable and energy efficient to save you some money that can help you through the winter. 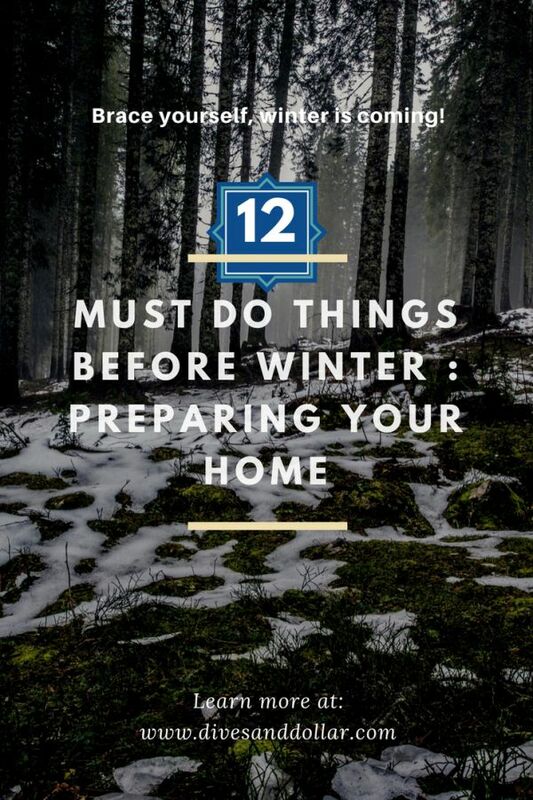 At least, there are 12+ things you must do before winter toA�get you well prepared. 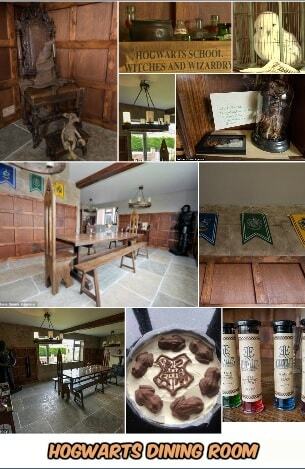 Here, you can check it out in this humble article. 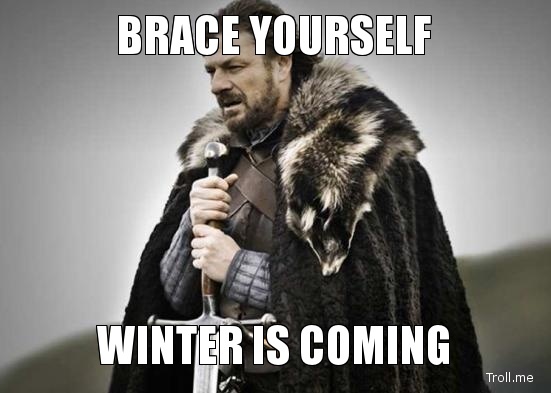 Brace yourself winter is coming! Before you do anything for your winter preparation, you better audit your energy usage to evaluate your spaces. It is the best start in your must do things before the other points of this winter list. In this case, you should hire a professional BPI certified energy rater to make it more accurate. 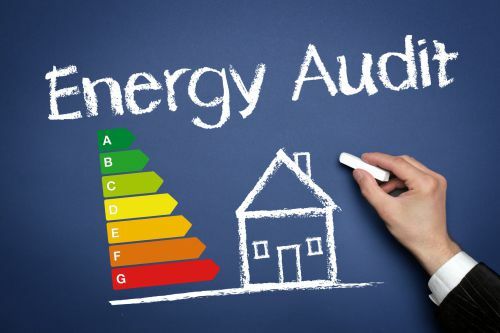 This professional will conduct an energy audit to test if your home is an energy saver or not. Besides, they will give you a warning about if there are some safety issues in your home. It is quite useful to help maintain your home not only a comfortable retreat to stay but also a safe place to live in. Sometimes, it will cost you a few but it is totally worth it. 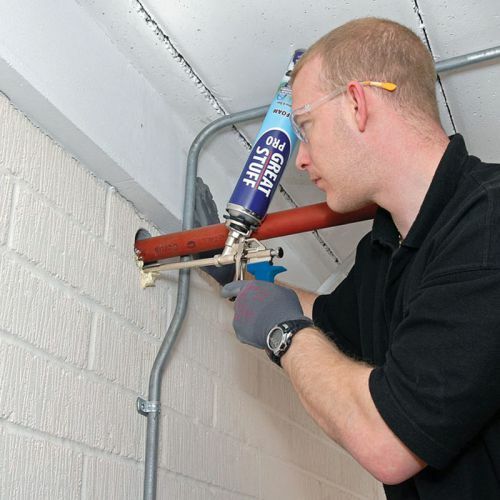 The most important thing they do is checking if there are any leakages in your home. A leakage will let outside air (in this case the freezing air) flow into your home. In this case, it will affect the temperature inside your home. Your heater and thermostat will work a lot harder to maintain the ideal temperature in your home. As a result, you use lots of energy than it deserved that will affect to your energy bill. On the other hand, if you dona��t want to use a professional energy auditor, you can audit your home on your own with some specific techniques and tools. Firstly, you should own an infrared thermometer to check the leakage in your home. 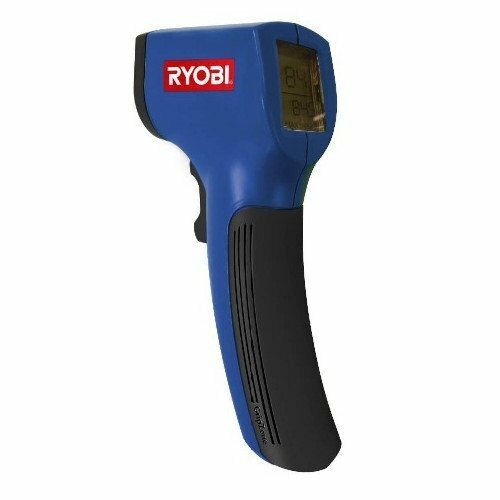 The Ryobi ZRIR001 Non-Contact Infrared Thermometer is the product that you can consider to buy. You can detect if there is any leakage in your window and door insulation by detecting any hot or cold spot. The most important thing you have to do to make you save more energy for your home is ensuring the right ventilation and tight sealing. That is the second in your must do things before winter list. After you already find the leakage in your home, one most important thing to do is to seal it off. It is intended to keep the outside air not to penetrate to the home through the wall and any other leakage that can cause drafts and temperature fluctuation inside your home. In this case, one or more tube of high-quality caulk is all you need to get. After you detect the leakage using your infrared thermometer, then you have to seal the leakage properly with the caulk. You might find many holes that may come after you install your plugs and switches. Seal it off around the area where the electric box meets the drywall. Some wire holes may cause leakage too, so you need to seal it off but dona��t forget to turn the breaker down. You dona��t want to get zap accidentally while doing this of course. Do you think the leakage may come only from the wall or window? Just look above. That can be the third in your must do things before winter list. The ceiling is one place that you might be left in your leakage inspection. You might find the leakage, especially in the can lights. Many of the can light is actually vented to prevent it from overheating by the lightbulb (these usually are called as non-insulation contact rated cans or non-IC). It is quite problematic. In one side, the ventilation is needed to prevent more serious problem to the home safety. On the other side, the light’s can hole become the notorious culprit that contribute to air leaks in your home. To fix that, you need to remove the existing ring of the can, and then seal it with the high-quality caulk or aluminum tape. 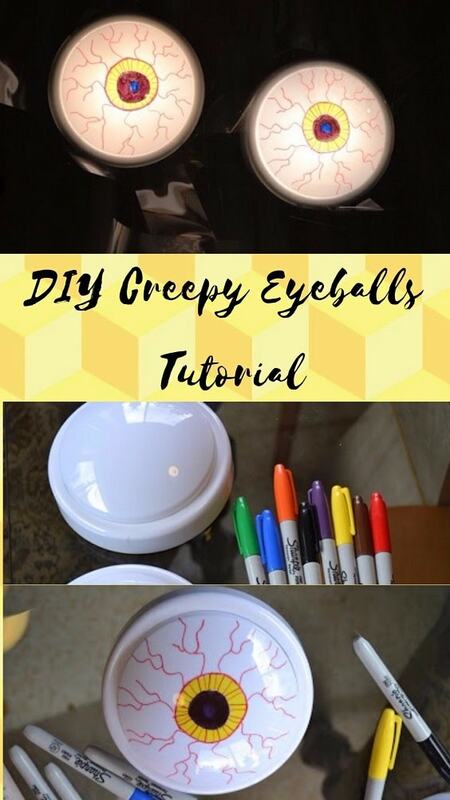 Then, change your light bulb, but dona��t you ever put an incandescent bulb in the can. It can be overheated as it builds up heat easily and a sealed can lights vent can make it worse to your home safety. Instead, you can opt something like Cree LED recessed light that is super efficient, dimmable, and a�� most importantA�a�� does not build up the heat. Once again, there might be some air leaks that you can miss in your insulation inspection. Recheck and recheck again, that your fourth job in your must do things before winter list. In this case, check out air vents, outside faucets, and plumbing for large gaps that might be unexpected air leaks in your home. To solve that, you can seal it with expanding foam that will fill every nook and cranny thoroughly. But, always keep attention to never apply it near the gas flue or you will have a fire hazard on your body and hands. After that, ita��s time for you to get dirty to check out crawlspace and where the foundation meets the house. Then you can fill and seal if there are any forgotten cracks and leaks. 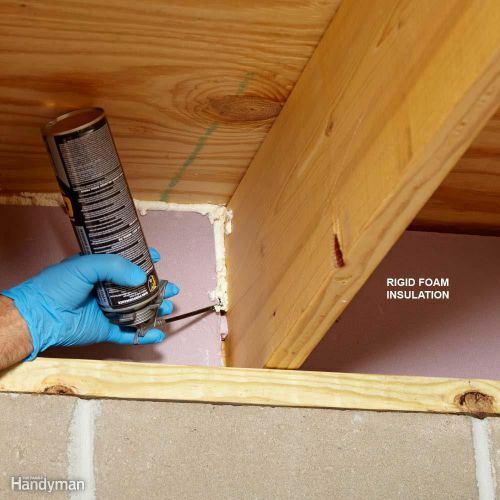 There are many expanding foam products in the market to seal the big holes. In addition, you can find fireproof expanding foam products in the market for holes between floors and sealing electric boxes. Before you apply this foam it is better that you apply it first on scrap surface to see how it works. Be careful! Always use gloves and the other safety equipment first before using the foam. Surely, you don’t want your hand gets hurt as this stuff may become sticky before it sets. Meanwhile, the expanding foam is great for air leaks, it wona��t always work with extra bigger gaps. In this case, you need an extra bit of insulation solution. 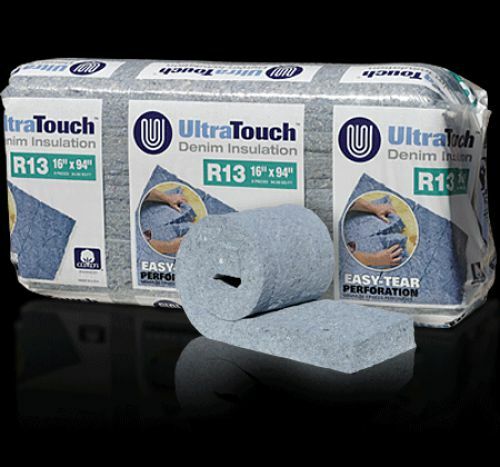 One of the best insulation we recommend for you is UltraTouch Denim Insulation. 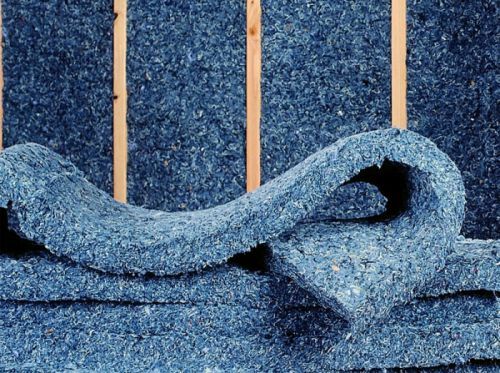 With high-quality natural fibers, it provides an extremely effective sound absorption and excellent thermal performance. Different with its fiberglass counterparts, you dona��t need to worry about getting a a�?fiberglass itcha�?. But we still recommend you to use a mask for anticipation and prevention. Another important must do things before winter is checking and tuning up your heating system. Based on research, heating consumes at least 30% of home average energy cost. That is quite a big deal. Meanwhile, if you have an inefficient furnace and boiler system, this number can spike further. To deal with that, you should clean up and change the filter at the very beginning of winter and every couple months while you turn up the furnace. One thing you should consider, buy a more efficient and healthy pleated filter to get more improved air quality. Meanwhile, the cheap one is usually just intended to protect the furnace motor and do nothing for the air quality. To cut down the energy usage, a tune-up is the best way you should choose. Besides, it can prevent carbon monoxide leaks that will contaminate the air inside your home.10 You should prioritize a tune-up as your furnace and boiler system will work at full blast for months of winter. It might seem as an unnecessary expenditure, but trust me youa��re going to need it at first place. Just keep in mind, if you neglect this tune-up, small problems can turn into larger one and a more expensive cost you should pay. 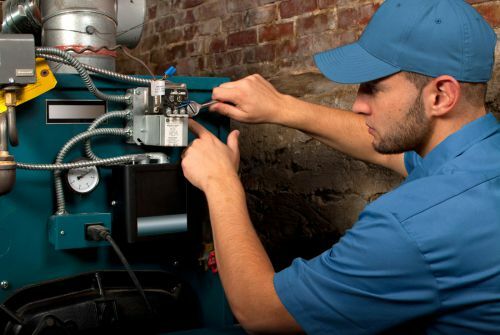 In this case, a new furnace is a substantial investment and regular maintenance will postpone its replacement. Unsuited windows can be the big contributor to home energy inefficiency. Investing in insulated glass windows with double paned or triple paned is an excellent idea to change the comfort of your home and energy bill, especially if you live in an area that is cold in the winter. In this sixth point of yourA�must do things before winter list, you need to mind about your window arrangements. 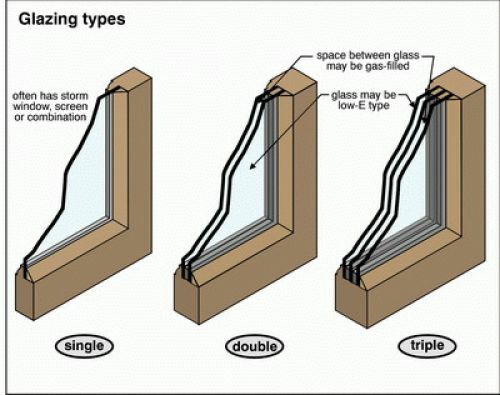 At least, you can find three types of windows in the market today: single pane, double pane, and super triple pane windows. In the older house, single pane and double pane windows are most common. Meanwhile, the windows in the newer home are commonly coated with Low-Emittance (low-E) coatings. It is a very thin, invisible virtually, metal or metallic oxide layers to suppress radiative heat flow. This kind of coating will keep radiant heat stay on the side which it originated. That means the heat from the outside (summer heat) will stay on the outside, while indoor warmth (winter heat) will stay inside your home. As the result, your home will stay warm in the winter and stay cool in the summer. Meanwhile, super three pane window is a more sophisticated development in windowa��s technology. It features the third pane of treated glass to contain krypton, argon, or air gas mix between the panes. This mix will contain the heat from both sides much better than Low-E coating one as it saves more money from your energy bill. Changing windows for winter preparation is good for a better insulation, but it is quite a drastic and costly step to take for some person. It requires a lot of technical analysis from a skilled professional and surely a lot more expensive. 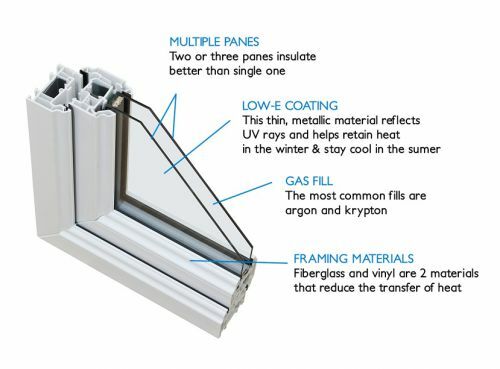 Furthermore, new windows may often give a slighter effect on energy efficiency than the old ones. In this case, it may be less worth than the cost you have to pay. Actually, you should look energy efficiency as a system in your home. Every aspect in your home is influencing even more important than you expected. It is a long-term investment that you should plan carefully; dona��t be hasty or thrifty about that. Firstly, you should get an energy audit before replace the window system in your home. Furthermore, you should take a simpler and cheaper solution with nearly same effect than replacing your windows. Sometimes, the answer is from what you already have before. 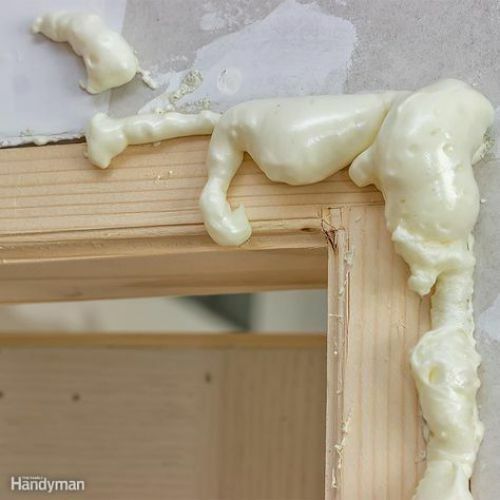 You can use caulk to seal the window frame. 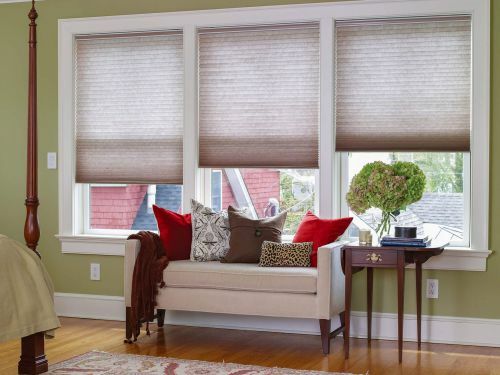 Then, set up your cellular shades on your window. It is very easy to install and cheap. It works by creating pockets of air for window insulation from the cold. You can find a good set of shades on the market that can double or triple up your windowa��s performance against wintera��s cold outside. After you already did the grunt work, now ita��s the time for you to put some sophisticated technology for the real deal. Forget about Programmable thermostat (t-stat) as it is difficult to operate or the EPA as it does almost nothing on your energy efficiency. 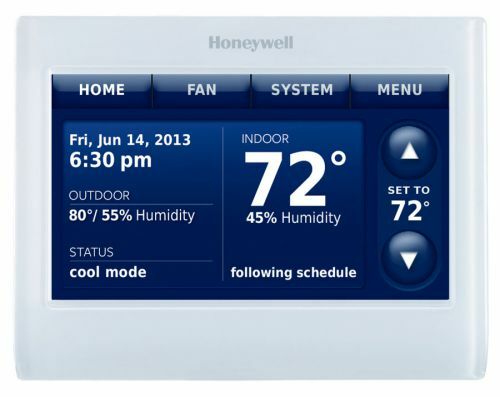 However, you can put your choice on the new, more intuitive design just like Wifi-enabled Honeywell t-stat. This product is an intuitive, sophisticated thermostat you can rely on to optimize the temperature in your home. It is way beyond the old-school programmable thermostat as you can do all the controlling works via your iPhone or computer. Besides, it tells you when there are significant temperature swings in your home or if its filter needs replacement. 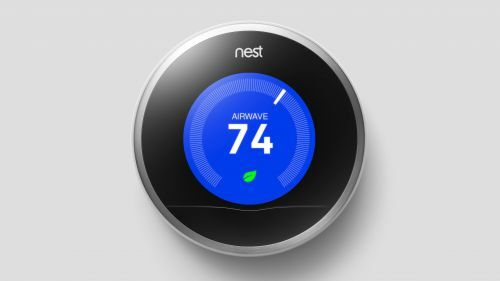 You can find a lot of programmable thermostat products in many varieties and price ranges. If you have one you can save almost $180 a year to your energy bill in average. The concept is simple; it can save your energy bills by setting pre-programmed temperatures for different situations, seasons, and times. You dona��t want to have to pay for heat you dona��t need as youa��re not in the home of course. This programmable thermostat will do the work for setting up the optimal temperature in your home based on situation and season. Furthermore, you can set up your thermostat to automatically turn down the heat when you are not home and turn it up again when you come home. In the winter you probably spend most of your time inside your home. 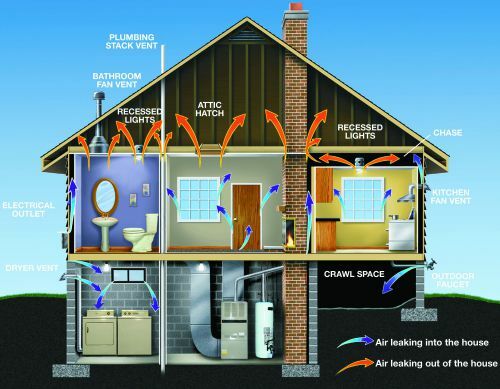 Besides energy saving and temperature optimization, you also need to enhance your home look to ensure its comforts. In this case, it is time for you to repaint your home to brighten up your mood. 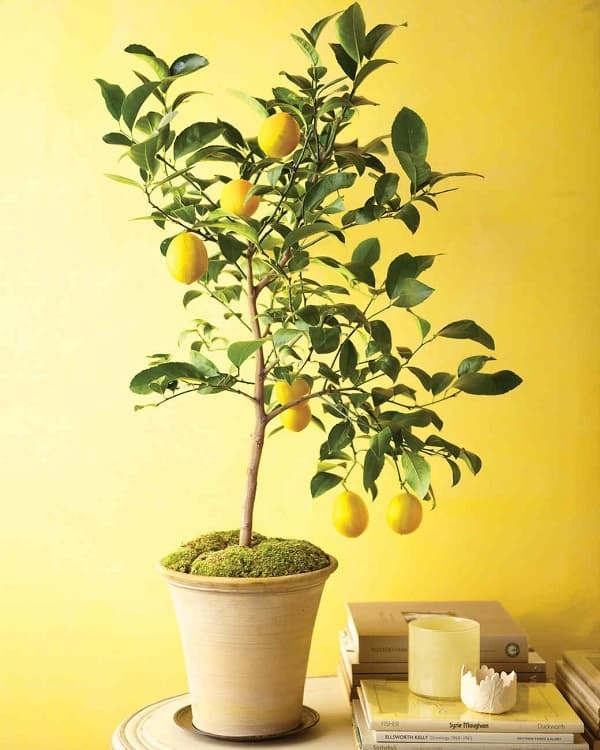 Go with a bright, cheerful color to cheer up your months of gloomy winter. 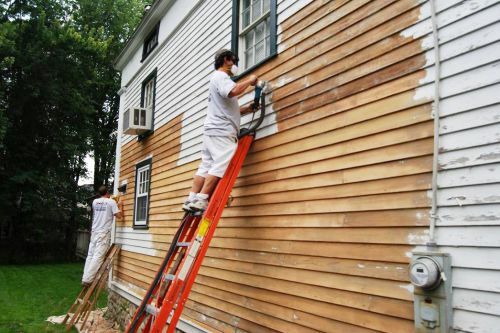 Why do you need to repaint your home before the winter? 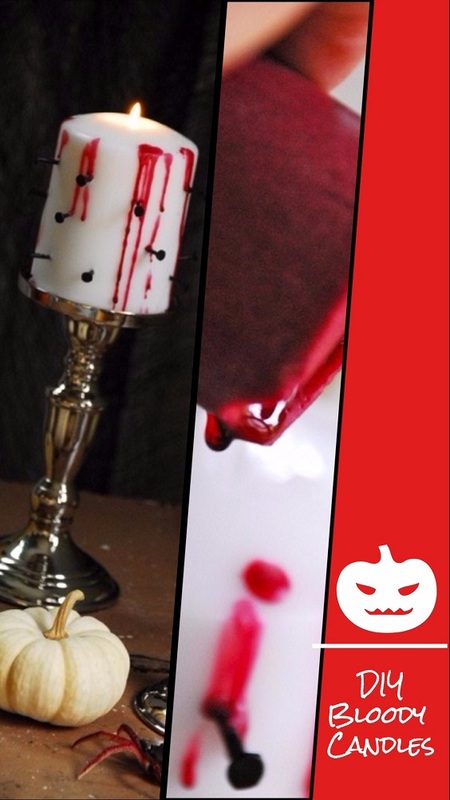 Because it is the right time for you change the mood in your home. Spring is always cheerful with greenery and colorful blossoms, while autumn has interesting nuances of brown and yellow from the falling leaves. Meanwhile, you will look a dull, gloomy white nuance of snow and ice in the winter. You surely need a boost for your mood to cheer up your winter to make it feel comfortable even if you have to stay for a long time inside your home. Open the windows while you are painting to let the fresh air in. 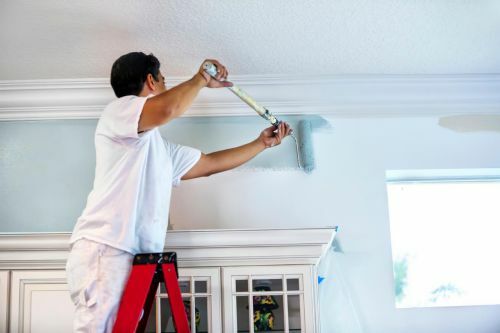 If you have enough budget as it is usually more expensive, you should consider using a low-VOC, eco-friendly paint product to make you less worry about breathing in toxic fumes. The winter often makes the floor freezing your feet. Now it is time for you to fix that. 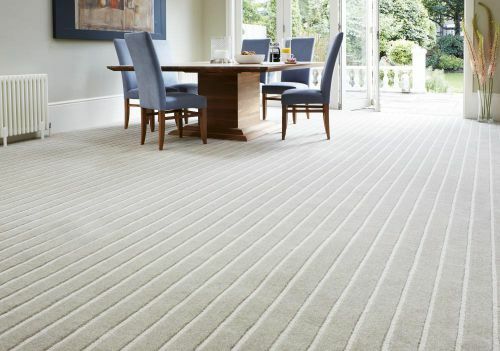 Coat your flooring with carpets to increase the comfort in your home dramatically. If you do the carpeting by yourself, make sure to open the windows to allow the toxic fumes escape. The off-gas from the new carpet is always tremendous and toxic. Asking the carpet retailer to air out the carpet you bought several days before installment is the best way to solve it. There are many carpet pattern and styles available in various color in the market, just find one that fit your taste. 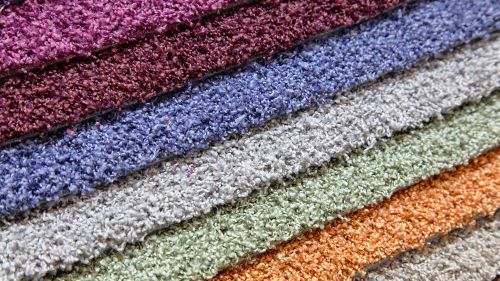 Besides its function to cheer up your home with its color and style, carpeting also has functioned as insulation to keep the warmness on your floor. In this case, your feet will always stay warm even in the freezing day. If you dona��t intend to use carpeting, there are lots of home flooring ideas like laminate and tile that you could also consider. But, keep it in mind to use insulator materials that will not induce heat so the floor will not make you freezing in the winter. As the springtime comes, you sure dona��t want to spend your time to clean up those piles of junk in the basement. 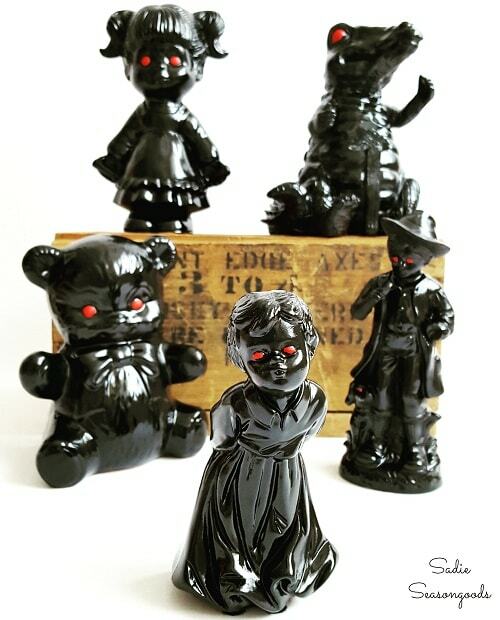 Of course, youa��ll want to get outside enjoy the fresh air of spring blossoms outside. While you have to be trapped down inside your home during the winter, it is time for you to spend that free time to clean up your home. 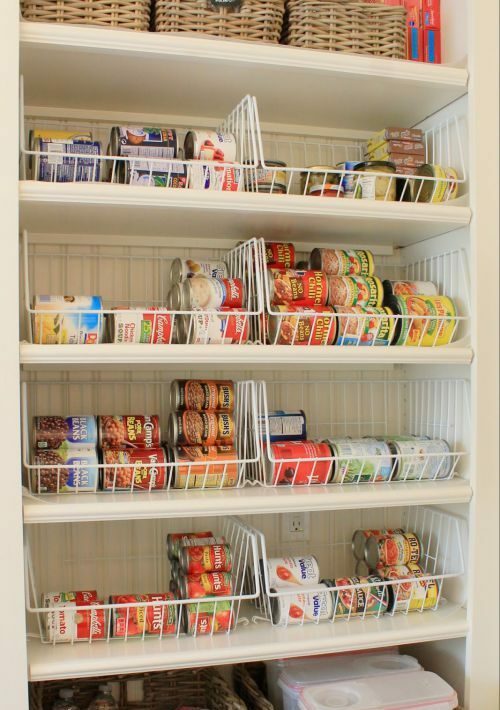 Winter is the best time to reorganize your home into a neat and clean one. Especially in January while everything is restarted and reorganized as it is the starting month of the year. That is why January is always called as a�?Get Organized Montha�?. This decluttering work is good also to spend your boring spare time in winter to convert it into useful work for your home. 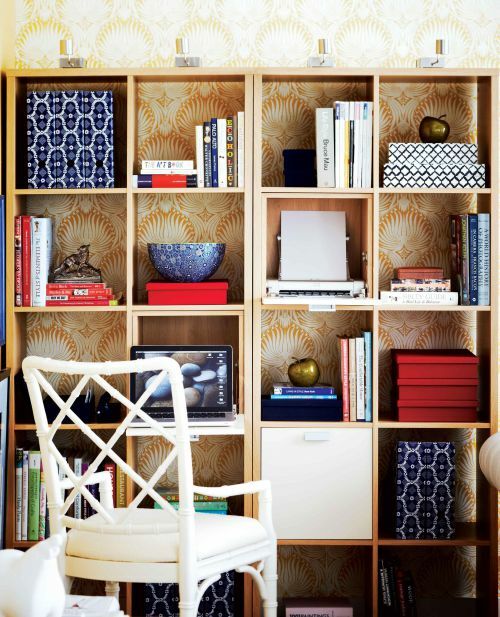 When you start this work, make a time planning carefully every week to decluttering in general. Organize what you decide to keep and do some garage sale if there are any saleable crap you might have. Dona��t try to handle the entire home and basement at once. Do it slowly and well-planned schedule. 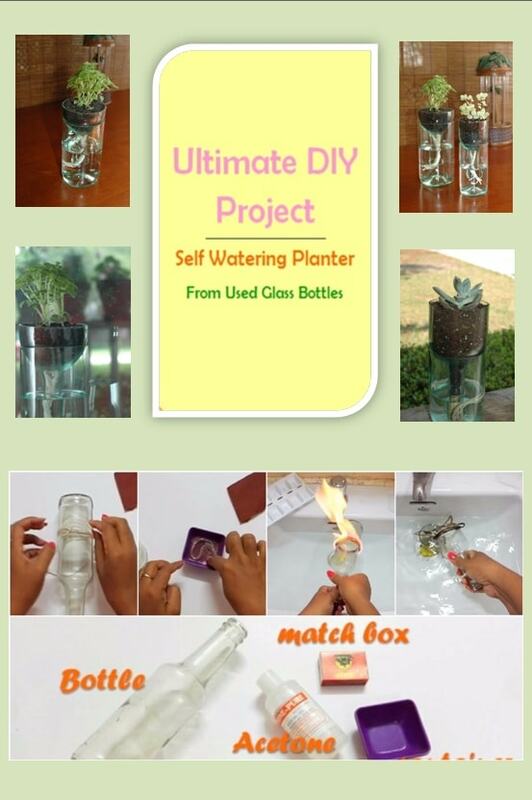 You have all the time of the winter now, so you dona��t need to force yourself to do it at once. 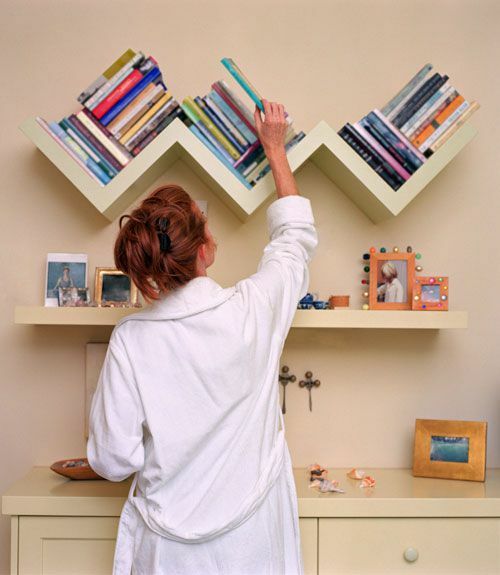 Focus on one shelf, one corner, or one room, and work until you got it exactly looking as you want. This way you can see the progress you made and be proud of it. Bathroom project is always a great thing to do for your winter preparation. When they have been done, you can be proud of your handiwork every single day. Bathroom as one of the source of humidity in your home surely will get caught by mildew and fumes easily. Especially if you live in the high humidity area, you may find moss and mildew grow on your bathroom. It creates unpleasantly sight. Now you need a quite hard work to do in your must do things before winter list. 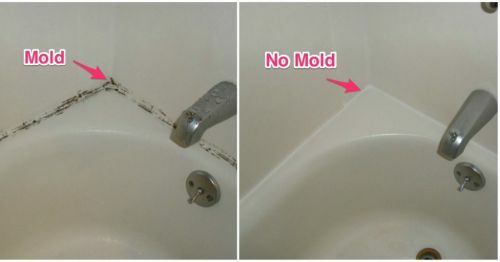 Removing the mold and mildew from the bathroom wallA�is easy, but to prevent it from coming again can be so tricky. There are some easy ways to do that. At least there 2 ways easy to fix it: natural and chemical. You can just combine 1/4 cup white vinegar, 2 tablespoons borax, and 2 cups very warm water.A�Mix it properly till it completely solvable. Then, pour it into a spray bottle. Shake it and spray on mold bathroom wall or other surfaces. Scrub and wipe using an old clothe well, then spray it again and wait for 10 minutes before drying it up. If you find that the natural ways cana��t remove it soon, you can continue to use the chemical or stronger substance. But, be sure to be careful in doing such steps. Using some safety gears like the old clothing of rubber gloves is a must. Then, it is important to protect your wall and your skin by chemical touching. Mix up 1/4 cup bleach and cups warm water. Fill the mixture into the spray bottle for an easier application. Spray the mixture on the mold wall, tile, or other surfaces in your bathroom. Then, scrub and wipe the wall well, reapply if the mold still remains. Wait for 5-10 minutes after scrubbing, then wipe the wall using the used cloth evenly. No one can deny the relaxing and calming sensation of having a time in a hot tub. Ita��s like escaping from the reality when you restore your body and soul inside a spa. The relaxing time could be more precious when you spend it with your family and friends, especially in the upcoming winter. Then, having a hot tub or spa for your winter is surely become one of the most brilliant ideas in your must do things before winter list. Hot tub gives you such a great hydrotherapy sensation that can relax your stressful mind, ease your heavy head, relieve your muscle pain, and give you a better sleep.A�Considering to buy a hot tub is a great idea, especially if you struggle hard in weekdays for work, you must need something relaxing on the weekend. In the winter, the comforts may become doubled up, while it is freezing outside, it’s time for you to warming up your body inside the hot tub. Before you consider to buying or having a hot tub, there are many things you should remember. Here we give you some suggestion to choose the best hot tub that suits your expectations. When you are considering to buy a hot tub, you need to determine its basic feature. Two things you should consider are its durability and portability. Also, don’t forget to mind about other expenses you should pay such as installation, maintenance, and energy consumption. 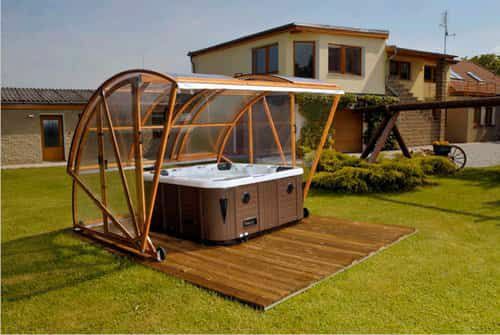 There many hot tub products in the market with various size and type. Sometimes it offers small hot tub for 2-3 persons for a small hot tub. Meanwhile, you can find a 4-5 person hot tub for a bigger size while the biggest even can handle more than 6 peoples. In this case, you need to make a consideration of your needs and your family size to consider about hot tub size. 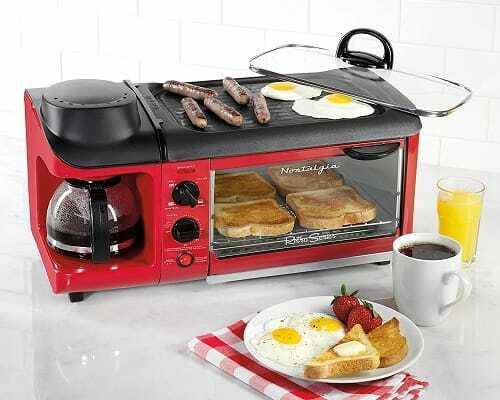 If you live in a small family, a small hot is quite enough. 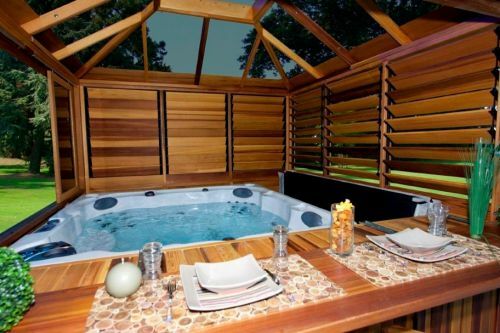 Traditional hot tubs are usually made from hardwoods like oak, cypress, teak, cedar, and redwood. These wooden hot tubs are resistant to decay, mold, bacteria, or water destruction which makes it quite expensive to buy and assemble.On the other hand, they are less portable. In this case, you have to decideA�the best spot to place it by considering your privacy, the view, and good accessibility. This kind of hot tub is more suitable for your luxurious lifestyle. The inflatable hot tub which is far way cheaper and easier to maintain than the wooden hot tubs. It is also more portable which you can flatten it and carry it everywhere you wish.Compared to the traditional ones, the portable hot tub can be placed on any flat surface outdoor or indoor. The maintenance of portable hot tubs is also much less expensive. It is the best solution if you want to buy cheaper and more practical hot tub. When hot tub is used for relaxing time, comfort isA�essential to consider about.A�Choose the one that suits your height and weight, and the proper size if you want to share your hot tub with others. It is obvious that hot tub needs theA�energy to warm up the water, so you also have to choose the most efficient-to-maintain one. The bigger the size, the higher energy consumption you must pay. If you already have one, it is time for you to do the maintenance of your own hot tub. 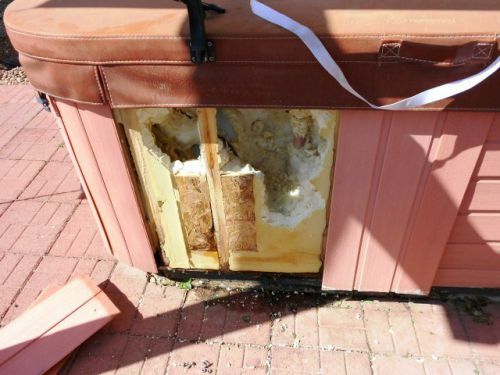 You can check if there are any leakages and damage in your hot tub. The winter is when you need your hot tub most. In this case, you don’t want to find it broke while you enjoying your hot tub comforts. 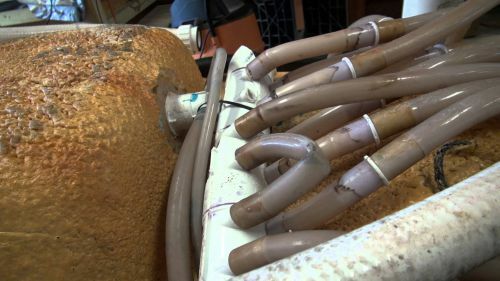 Furthermore, you should read this article to do a DIY hot tub repairing. 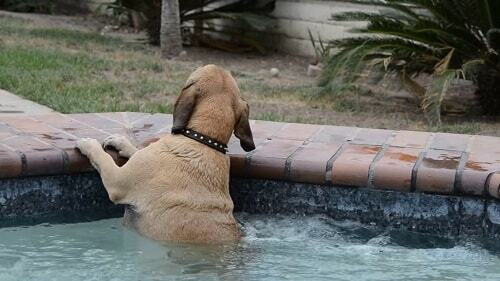 It will give you a comprehensive information to do a hot tub repairing all by yourself. If you don’t have much time or required tools to repair your hot tub, you can contact a trusted hot tub repairer nearby. It is quite costly, so you need to ensure that the repairer you hired is really good and trustable. Winter is a grace season when the softy tiny crystal snow is falling. 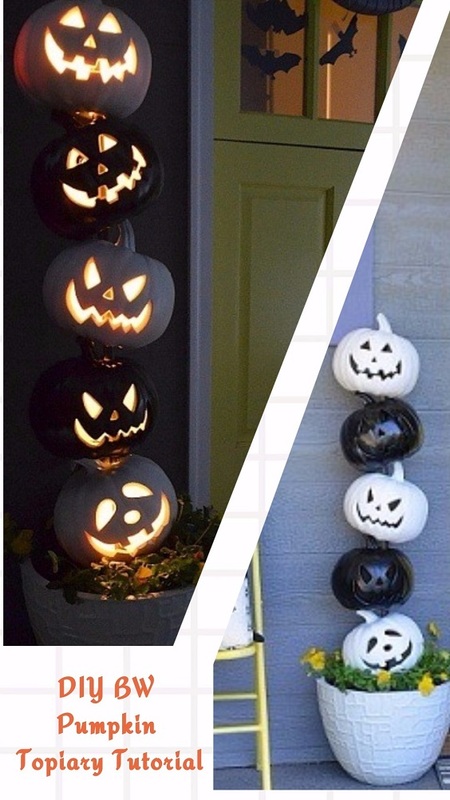 It creates an exotic view that totally changes the impression of the overall look of your neighborhood over the season. In this case, you might want to relish that exotic view of the winter while you enjoy your hydrotherapy in your hot tub. But, sometimes you might be confused as the snow noticeably contributes in joining your spa; it is not nice of course. Dona��t ever worry about that at all. 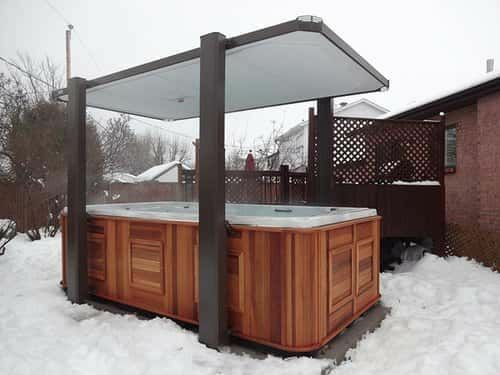 There are many hot tub enclosure winter ideas that you can apply to make you able to enjoy the view of the snowy weather outside while you are in your hot tub. You can choose it wisely depending on your situation and of course, your budget. Installing a hot tub enclosure is necessary if you want a stress release while enjoying the view from the outside. In the summer, it will protect you from the excessive sun radiation that can make a sunburn. 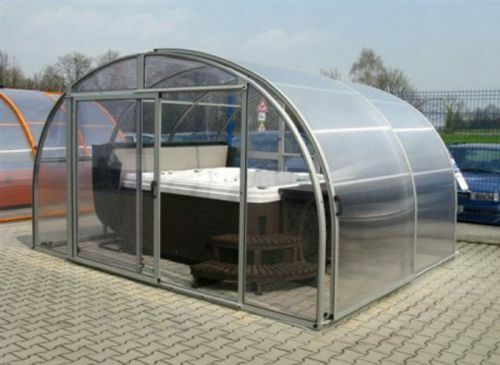 Now, there are many hot tub enclosure ideas that are not only easy to install but also has a beautiful design that enables you to enjoy your spa in style. It delivers you comforts, satisfaction, and warmness as your stress will be soaked away from your mind.